Fringe! is a film and arts festival rooted in London's queer creative scene and welcoming everyone. Shades of Queer is a new and unique strand of additional activity specifically focusing on queer and trans people of colour (QTPOC) that took place in addition to the core festival programme. The Shades of Queer initiative specifically highlighted the lack of on screen representation of queer and trans people of colour (QTPOC) on screen and in the media, even within the LGBT community. The programme addressed issues of diversity on screen, and the surrounding discussions and Q&As specifically addressed LGBT and BAME issues across the world. The key aim of this initiative was primarily to develop underserved queer and trans people of colour (QTPOC) audiences for the year-round activity of Fringe! Queer Film & Arts Fest (delivered in association with BFI FAN’s Queer Film Network), their annual festival, and for their host venues. The initiative also aimed to expand the on screen representation of QTPOC (in terms of both religious and ethnic diversity) and to further expand understanding of the issues faced by this group with an enhanced programme of Q&As and discussions. The programme was also targeted at their established LGBT audience and additionally aimed at further developing young audiences (18-30) for these events. Supported as part of Film Hub London’s Exhibitor Activation Programme, this was a strategic award made to meet key Film Hub London and BFI objectives including broadening venue programming, creating opportunities for diverse audiences to engage with and have greater understanding of diverse content, and to develop the Film Hub London network through collaboration and resource sharing. Fringe! delivered a programme of specifically QTPOC screenings and debates in 6 venues across East and, for the first time, North London. In order to deliver this programme, Fringe! worked with 3 new venues in addition to existing partner venues Hackney Attic, the Rio Cinema and The Rose Lipman Building. Genesis Cinema and The Glory were new venues, alongside the Bernie Grant Arts Centre which marked Fringe!’s first expansion into North London, and into a BAME aligned venue. This partnership, created as a result of Film Hub London’s network, resulted in Bernie Grant Arts Centre programmer Hakeem Kazeem joining the Fringe! team as their first BAME programmer. QTPOC diversity and issues were also addressed with the supporting activity, with 5 of the screenings in the programme were accompanied by Q&A and panel discussions and there was 1 dedicated panel on LGBT immigration and arts activism. Filmmakers Done Fil (The Turkish Boat), Jade Foster (Women and the Word) and Kim Longinotto (Shinjuku Boys) all participated in post-screening Q&As, and the panel after the screening of The New Black consisted of BFI Flare programmer Jay Bernard, academic Dr Edson Burton of Come the Revolution and paster and House of Rainbow CEO Jide Macaulay. The panel on LGBT immigration and arts activism was hosted by Nigerian LGBT activist Bisi Alimi and consisted of Jamaican lesbian poet PJ Samuels, playwright Mojisola Adebayo and a Bahraini lesbian artist who prefers not to be named. The audiences for the Shades of Queer programme were exceptionally diverse with 72% defining themselves as BAME, 81% as LGBT, and 10% defining their gender as Other. 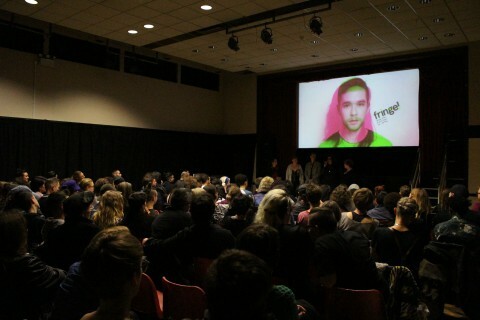 It is clear that the project brought in a high number of new audiences both to the venues and to Fringe! events, as 63% of audiences were reported as being new. A quarter of new attendees to the overall Fringe! programme were BAME. 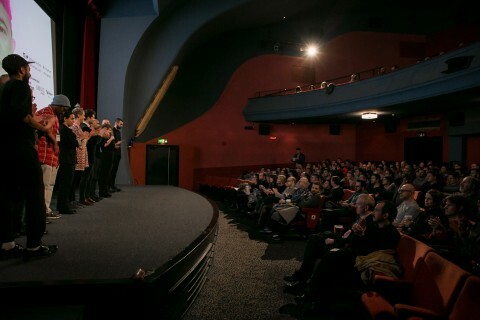 Events included screenings of the following films: Favela Gay, Kumu Hina, The New Black + Q&A, The Turkish Boat + Q&A, Women and the Word + Q&A, Alex & Ali, Game Face, Naz & Maalik, Meanwhile in Beirut, Women and the Word + Q&A, Shinjuku Boys + Q&A, plus Sexile - Exploring Queer Migrations and Activism in the Arts Discussion. £9,240 total project budget with a £2,100 investment. Shades of Queer successfully exceeded their audience targets - there were 723 beneficiaries against a target of 420. Bringing in new and exceptionally diverse audiences to Fringe! events. Shades of Queer was an important step in the right direction, but the team strongly feel that the momentum in reaching BAME and trans audiences needs to continue to improve. Working with BAME programmers such as Hakeem Kazeem and Karen Alexander helped to make an informed and important difference to the programming, but they feel that this BAME representation should extend to marketing and audience development. Having a dedicated marketing and audience development team improved reach immensely, although the marketing/audience development team could have benefited from some more diversity as most of the team was white with one Asian team member and one with mixed heritage. In general the programming and audience numbers for the strand were a success, but there always scope to build on this and improve. The key aim of this initiative was primarily to develop underserved queer and trans people of colour (QTPOC) audiences for the year-round activity of Fringe! Queer Film & Arts Fest (delivered in association with BFI FAN’s Queer Film Network), their annual festival, and for their host venues. The initiative also aimed to expand the on screen representation of QTPOC (in terms of both religious and ethnic diversity) and to further expand understanding of the issues faced by this group with an enhanced programme of Q&As and discussions. The programme was also targeted at their established LGBT audience and additionally aimed at further developing young audiences (18-30) for these events. "Eye-opening and emotional- so glad i've seen the different sides + situations of immigration + different cultural views"
Fringe! delivered a programme of specifically QTPOC screenings and debates in 6 venues across East and, for the first time, North London. In order to deliver this programme, Fringe! worked with 3 new venues in addition to existing partner venues Hackney Attic, the Rio Cinema and The Rose Lipman Building. Genesis Cinema and The Glory were new venues, alongside the Bernie Grant Arts Centre which marked Fringe!’s first expansion into North London, and into a BAME aligned venue. This partnership, created as a result of Film Hub London’s network, resulted in Bernie Grant Arts Centre programmer Hakeem Kazeem joining the Fringe! team as their first BAME programmer. Shades of Queer was an important step in the right direction, but the team strongly feel that the momentum in reaching BAME and trans audiences needs to continue to improve. Working with BAME programmers such as Hakeem Kazeem and Karen Alexander helped to make an informed and important difference to the programming, but they feel that this BAME representation should extend to marketing and audience development. QTPOC diversity and issues were addressed with the supporting activity, with 5 of the screenings in the programme were accompanied by Q&A and panel discussions and there was 1 dedicated panel on LGBT immigration and arts activism. Filmmakers Done Fil (The Turkish Boat), Jade Foster (Women and the Word) and Kim Longinotto (Shinjuku Boys) all participated in post-screening Q&As, and the panel after the screening of The New Black consisted of BFI Flare programmer Jay Bernard, academic Dr Edson Burton of Come the Revolution and paster and House of Rainbow CEO Jide Macaulay. The panel on LGBT immigration and arts activism was hosted by Nigerian LGBT activist Bisi Alimi and consisted of Jamaican lesbian poet PJ Samuels, playwright Mojisola Adebayo and a Bahraini lesbian artist who prefers not to be named.